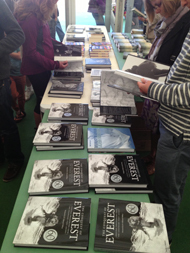 Happily, our book The Conquest of Everest won the History Award at the Banff Mountain Film and Book Festival. It has been a real pleasure working with George Lowe’s family and our publishing partners Thames & Hudson. An exhibition of photographs from the book opened in Canada. The second book, The Crossing of Antarctica, is now available, and we hope it will do justice to this remarkable man. 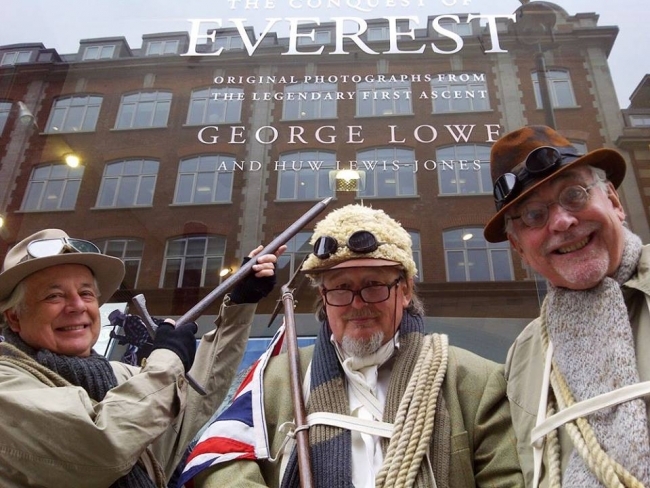 The 60th anniversary celebrations of the first ascent of Everest began with the launch of our new book Letters From Everest by George Lowe. A veritable who's-who of the mountaineering world gathered with friends and family at Sotherans in Piccadilly for a special evening to celebrate the release of this unique collection of letters. 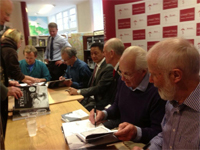 The following morning on 29 May, Sir Chris Bonington, Stephen Venables, Doug Scott and Huw took part in a public book signing at Stanfords in Covent Garden. Exactly 60 years to the moment that their fathers stood on the top of the world, Peter Hillary and Jamling Tenzing also joined us. In the media scrum, footage of the event was broadcast across several news channels including the BBC, ITV, NBC and Sky. Huw has now spoken about the Everest photographs all over the world. The book tour for Conquest of Everest, Letters From Everest, The Crossing of Antarctica and Heart of the Hero continues. Kari gave the prestigious Monday night lecture to a full auditorium at the Royal Geographical Society and has been lecturing through their Regional Series throughout 2014. Huw has given a huge number of talks in the past year - including the Hay Literary Festival, Sydney and Auckland festivals, and a tour in China - and his busy programme continues with more presentations and book signings. He will be speaking at the Royal Geographical Society in 2015. For diary dates, click here. 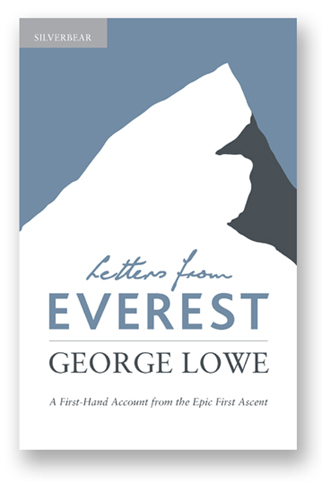 Our first title in the Silverbear series is Letters from Everest by George Lowe, was released on 28 May 2013, with a flurry of reviews in the press as well as radio and TV coverage. In this touching book, published on the 60th anniversary of this first ascent, a trove of unpublished letters from the Lowe collection are brought together for the first time, to provide a vivid, behind-the-scenes witness of a climb that would make history. We feel honoured to have spent the last few years working with George and his family on his memoirs and his photographs from his time on Everest. He was a gentle soul, a fine climber, and a wonderful man who will be sorely missed. 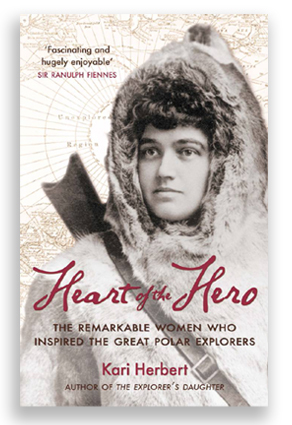 Kari's new book Heart of the Hero: The Remarkable Women who Inspired the Great Polar Explorers was recently launched on Captain Scott's ship Discovery in Dundee. Heart of the Hero gives a compelling insight into the relationships that became the foundation of some of our best-loved stories of adventure, from 1791 to the present day. We commissioned award-winning illustrator Andy Smith to create artworks for our new book project In Search of the South Pole. Over the course of writing the book, conducting interviews and undertaking the research, we asked polar explorers, travellers, scientists and authors to describe the South Pole simply in just five words. 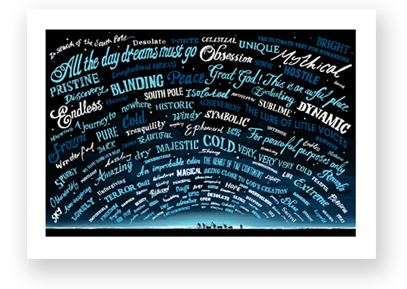 We combined these responses with some phrases from books from the ‘heroic age’, to produce this skyscape of dreams and imagining. 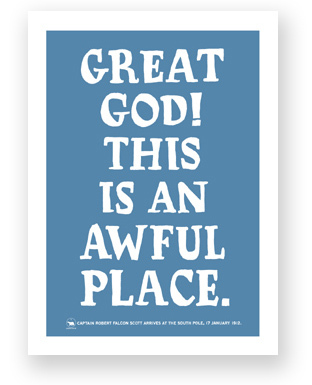 'South Pole Sky' is now available as a one-off silk-screen print, limited to a collector's edition of just fifteen. We are delighted to announce that our book Last Days of the Arctic by Ragnar Axelsson is about to be reprinted, in association with Crymogea, Iceland. The book has been chosen as a 'book of the year' by The Times, who describe it as 'remarkable' and 'beautiful' and as 'a gift for the eyes, mind and heart'. For more information on this title, and to see a 'flipbook' preview, please visit our books page. An exhibition to accompany the book will open in London early next year. More information will follow. The second in our Face to Face series was released to wonderful reviews, in association with Anova Conway. Face to Face: Ocean Portraits is a stunning visual exploration of people who have been inspired by the oceans, who voyaged to the limits of possibility, who endured unfathomable hardships on the high seas, and who have broadened the horizons of our understanding – heroes of maritime and seafaring history alongside men and women of many nations working in the modern marine environment. For more information on this title, and to see a 'flipbook' preview, please visit our books page. On 29 October, Polarworld, in association with the Old Royal Naval College and the Canadian High Commission, held a very special polar event in Greenwich. 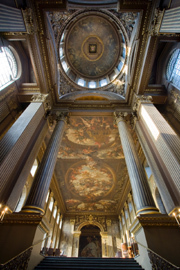 A moving ceremony for the rededication of the Franklin Monument and re-internment of the remains of one of Sir John Franklin's crew, Lieutenant Henry Le Vesconte, was followed by a gala reception in the Painted Hall. The 'polar-themed' cocktails, courtesy of Mamont Vodka, and delicious canapes were followed by a talk by Robert Grenier, Chief Underwater Archaologist, Parks Canada - all washed down with vintage Chateau Mukhrani wine. Thanks to everyone for coming. We hope you enjoyed yourselves as much as we did.